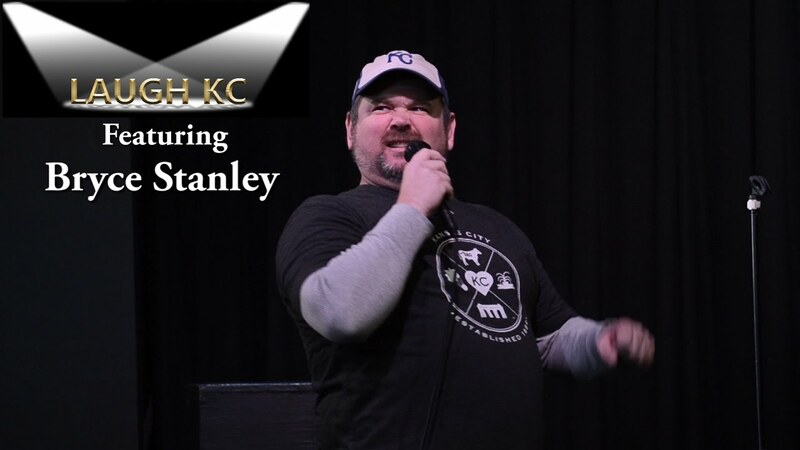 Bryce Stanley is quickly becoming one of the Midwest's fastest rising comedians. Bryce's southwest Missouri roots, wasted accounting degree and life as a part-time dad has created a laid-back, clever style with just the right mixture of intelligence and good-ol'-boy. You'll have a hard time figuring out where Bryce is going next but don't worry, there will be a laugh there waiting for you. 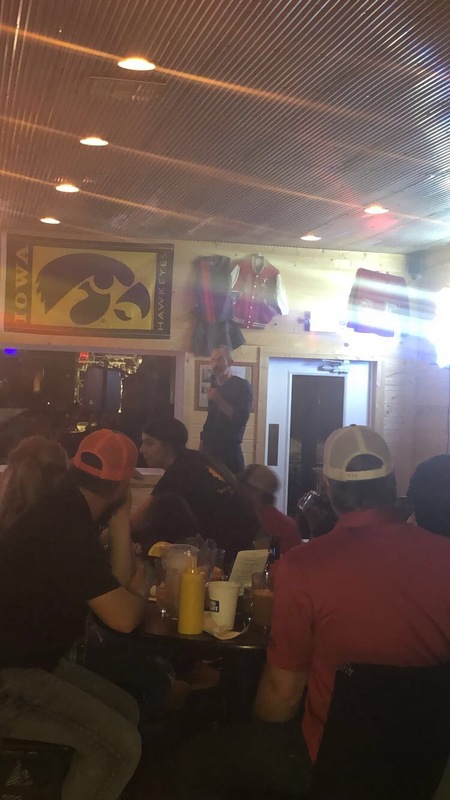 Bryce can be seen a comedy clubs in the Midwest such as Stanford and Sons, Blue Room Comedy Club, The Grove and the Wichita Loony Bin. Bryce also performs in small towns around the Midwest with his friends as the Dirt Road Comedy Tour. Bryce is perfect for your gathering, corporate event or holiday party. Nothing more I could have wanted out of our first show! If your face hurts from laughing too much, you know you had a good time! Thank you so much for making the drive guys!! It was our pleasure. Thank you for all the hard work you did setting up the event. It was a really fun night with a great group of people. Thank you so much for including me in your event. It was such a fun night. 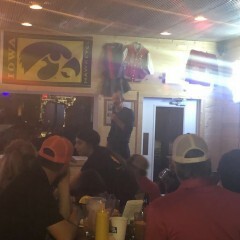 Our organization hired Bryce Stanley to entertain for a fundraiser. We had never hired a comedian before so we didn't really know what to expect. From the first contact I had with Bryce, I appreciated his professionalism. When I told Bryce that it was a fundraising event he immediately volunteered to help with whatever we needed. His past experience with fundraisers was extremely helpful to us. Bryce had so many helpful ideas. 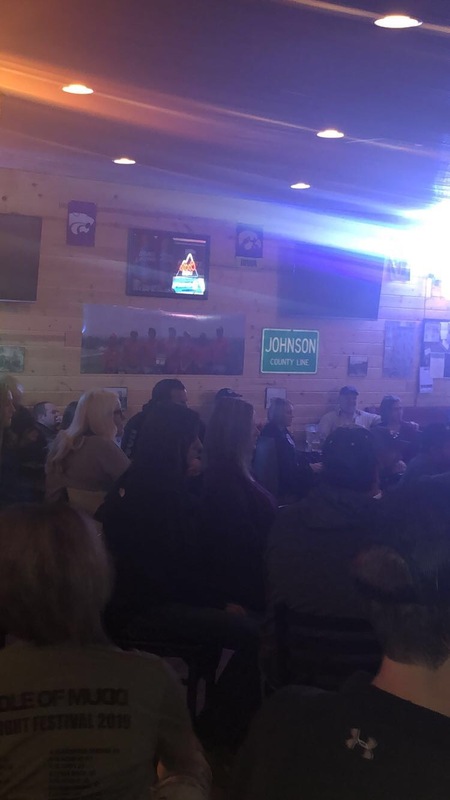 We raised $4700 that night and much of that was thanks to Bryce. His comedy was hilarious. Very family friendly. We plan on booking Bryce again for our next event. Thanks for the kind words, Rob. It was great to meet you and Tiffany. So glad your group met your fundraising goals. Keep up the great work. Bryce put on a Great show for our hospital fundraiser!!! He really catered to the audience and got Lots of laughs! He brought along a fellow comedian which was an added bonus as it helped the varying members of the audience - again many laughs all around. Bryce also did a great job supporting our fundraiser and supporting our cause - which was super helpful! I have to say that helping with the event planning it was Amazing how communicative Bryce was as well in the weeks leading up to the show. He reached out right before as well to re-confirm his arrival and they got their Early, which is such a big thing when planning a fundraiser (thank you lots again for that!). They even hung out after which was a fun crowd pleaser and we have had lots of compliments about their show since -- highly recommend!! Bryce was great and did a great job of keeping the guests at our event laughing. We would definitely have him back! Thank you for helping us raise money for a great cause! Thanks for letting me be part of your event. I hope you raise a ton of money. Keep up the great work. Great guy, and of course funny! He showed up early and performed to a mash up of ages and walks of life. He was great and I would have no problem giving him a recommendation. Great performer at a great price. Give him a shot. You will not be disappointed. Thank you so much, Jen. You put together a great event and I was happy to be included. It was nice to meet everyone. 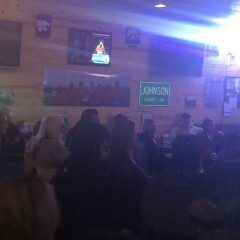 Keep up the great work in Webster City. Bryce was great and got the Audiences attention right away! He kept them Engaged throughout his whole performance. Bryce did a good job at our Christmas party. He has a lot of good 1 liners! Super nice guy. We invited him to stay afterwards for our casino night. Great addition to our annual corporate holiday events. Liked his take on his hunting adventure and his choice in hunting gear. Bryce did everything asked of him. He showed on time and stayed after the event to visit with our guests. Everybody seemed to think the show was great. We had a age range from 10 months to 97 years. Thank you for the opportunity and great hospitality. It was a really fun evening. With me, you will get a professional, customizable comedy performance for your group. I will work with your time frame, and can also create unique material for your group as well. I've customized shows for police groups, hospitals, phone companies, retirements and birthdays and can do the same for your group. I enjoy working with organizations with fundraising. I can help with other elements of your organization's fundraiser. I am a 47 year old divorced father of two great boys. I pride myself on my clever, unique style. I use my life experience to put a different spin on the world. I aim to be smarter than I look, which isn't too difficult to pull off. 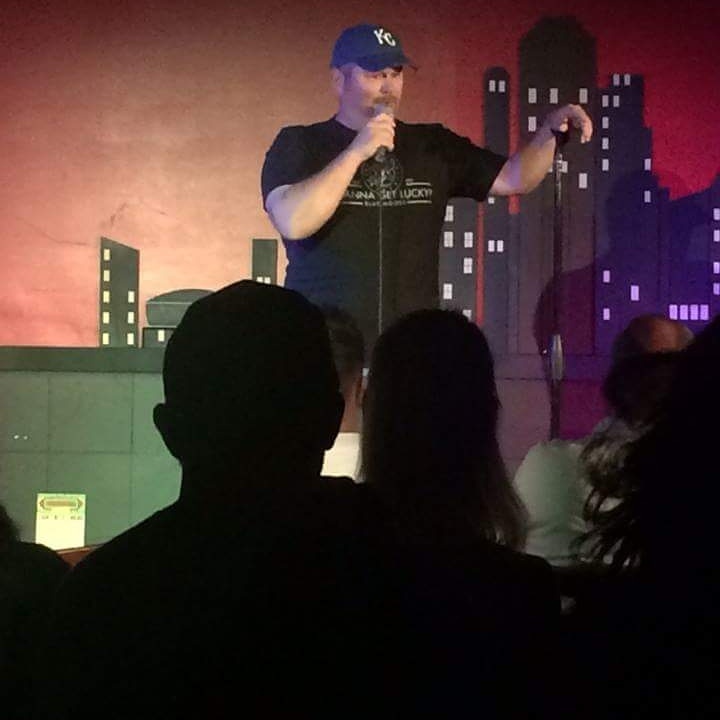 I have quickly moved up in the comedy world and now focus on small town shows around the Midwest. 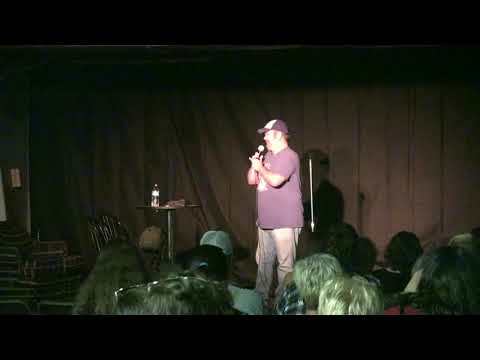 I also perform at numerous comedy clubs around the Midwest and a lot of corporate gigs. If you are looking for a comic that won't offend anyone but will bring tons of laughs, I'm your guy. I just need for the crowd to hear me. I have worked small crowds without a microphone and stage work requiring a mic. I have sound equipment if needed. June 04, 2016 • 8:00pm - 10:00pm Opera House. Headling a local show. I enjoy the good joke writers of the world.